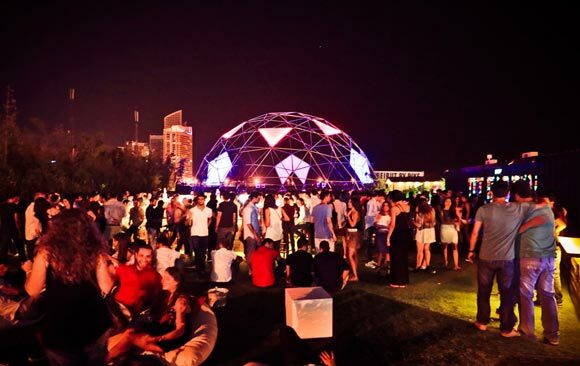 The Gärten by überhaus was opened on June 22 and has already set new standards in Beirut’s clubbing scene. 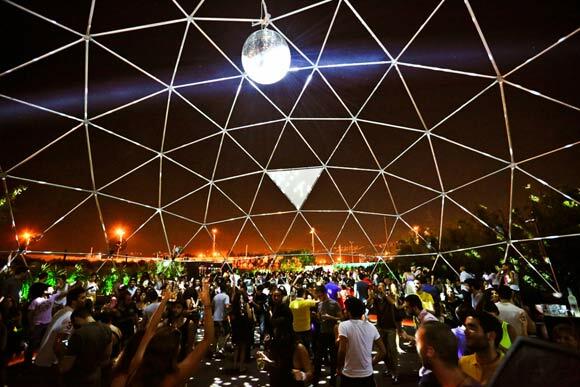 The pop-up nightclub occupies1,000 sq m of space next to the Beirut Exhibition Center at Biel. 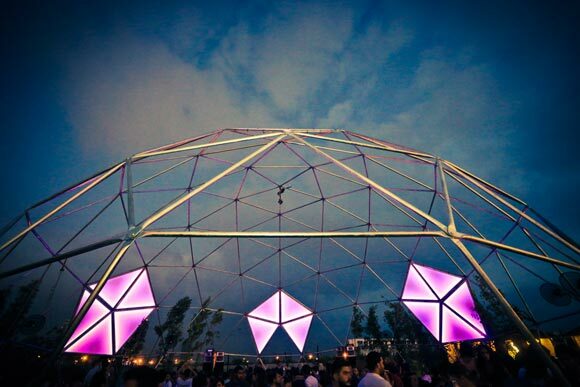 The main feature though is a large, open-faced “Geodesic Dome” that’ll easily fit some 800 clubbers. 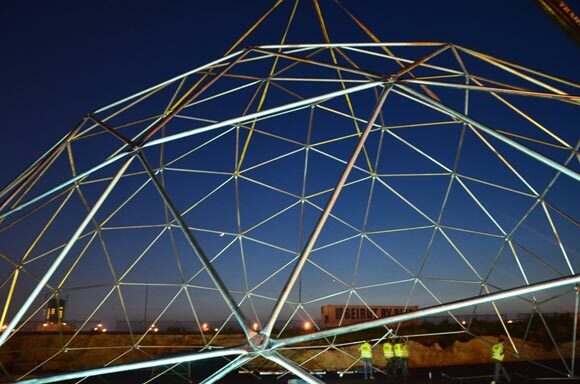 The lights and sound system incorporated into the framework are at the highest level. 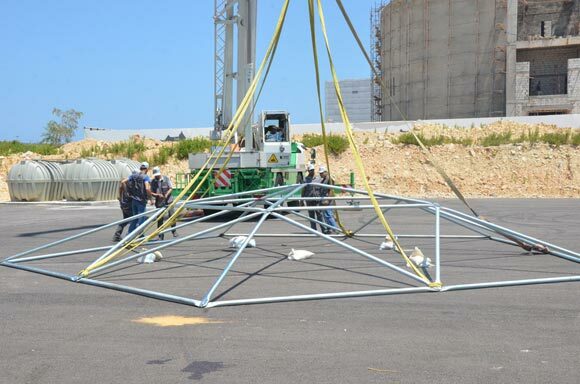 Najjar Najjar Architects, the Beirut and Vienna based design practice, proposed a “V4 Dom” that comprises 250 steel struts varying in length between 2.5 and 3.2 meters. 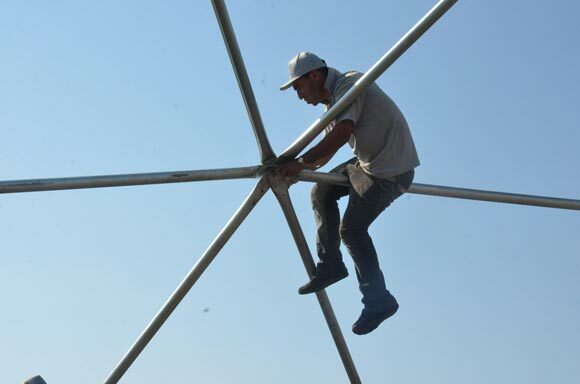 The design begins with an icosahedron inscribed in a hypothetical sphere, tiling each triangular face with smaller triangles, then projecting the vertices of each tile to the sphere. 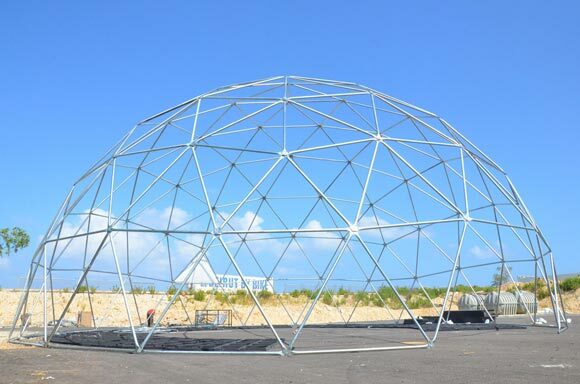 The endpoints of the links of the completed sphere are the projected endpoints on the sphere's surface. 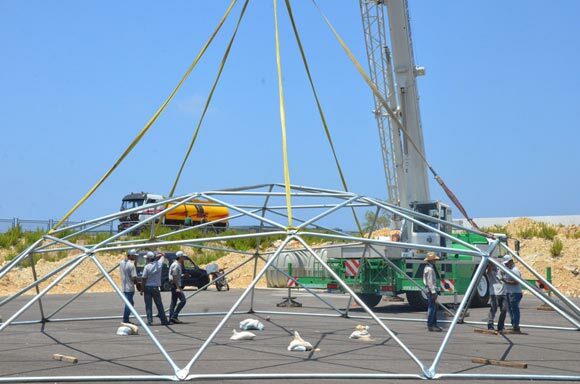 The whole structure was set up in only one day.